Come and learn how to do rubber block stamp printing. No experience necessary. All supplies included. Create your own rubber block stamp, personalized stationary and cards. 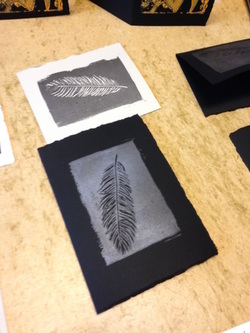 Learn the basics of printmaking, while engaging in a creative, fun, relaxing activity. $45 per person per session. All supplies included. Class limited to 5 participants. Email wellwithart@yahoo.com to register. Deposit of $20 per person is due 7 days before the class to hold your spot. This is then applied to the class fee. The remaining balance is due on the day of the class.